Concrete has been undergoing something of a renaissance in recent years. Experts have long acknowledged that its strength and durability make it ideal for use in buildings, and now many have realised that it can look stylish too. Madmix, a top concrete supplier in the Cambridge area, looks at four concrete constructions projects which have won, or been shortlisted for, major architectural awards in the past few years. This is the third bridge to run across Scotland’s Firth of Forth. The original Forth Bridge is a rail crossing which opened in 1890. The second crossing, the Forth Road Bridge, was built in the 1960s to cope with the huge rise in road traffic. However, in recent years this has had to cope with far more vehicles than it was originally designed for, leading to this third bridge – also known as the Forth Replacement Crossing. The whole structure contains more than 165,000m3 of reinforced concrete – much of it waterproof. 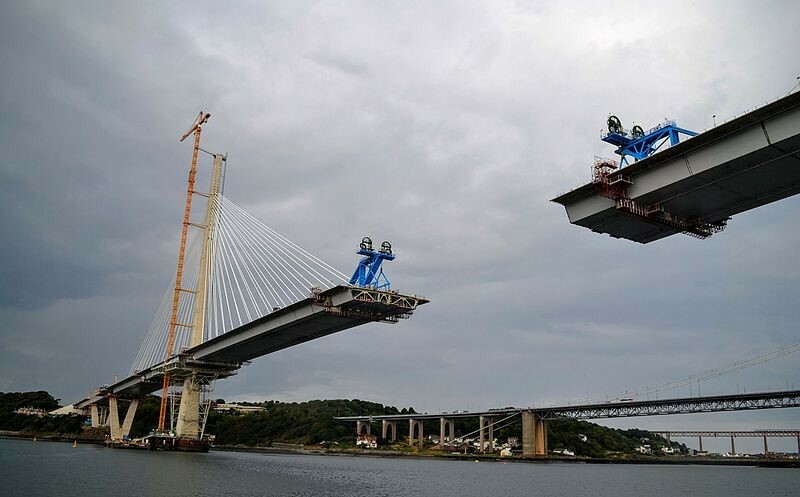 It is the 2017 winner of the Concrete Society’s Awards for Excellence in Concrete, who praised its ‘stunning appearance’ and ‘light feel’ and the way it complements the other two Forth bridges. This station has just undergone a huge redevelopment, which is aimed at increasing its passenger capacity to 85million a year. 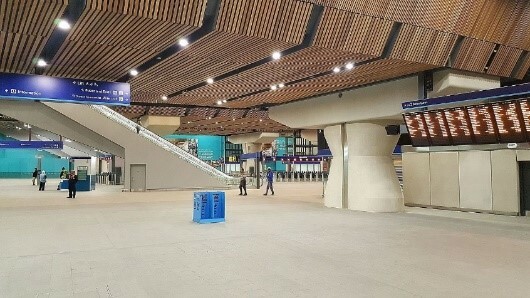 One of the key features of the whole project is its bold and imaginative use of concrete, and particularly the unusually-shaped columns and crossheads in the new station concourse. The concrete used is self-compacting, both in the concourse and in other parts of the project. It made the shortlist for the Concrete Society’s awards in 2017 for its ‘high-quality, repeatable finish’. This concrete housing block was originally built in the 1960s and is an original example of so-called brutalist architecture. In the aftermath of the Second World War, architects were looking for inexpensive materials to replace bomb-damaged buildings – and concrete was an obvious solution. Initially the Park Hill flats suffered from a lack of noise insulation, while the badly-lit walkways led to a rise in crime and anti-social behaviour. However, the whole structure was listed in 1998, and in recent years the flats have undergone a transformation. The external brickwork was replaced by brightly-coloured aluminium, and extra windows built in. Offices, shops, restaurants and bars have also been added at ground level. Significantly, the flats’ reinforced concrete frame was retained throughout as it was still structurally sound. 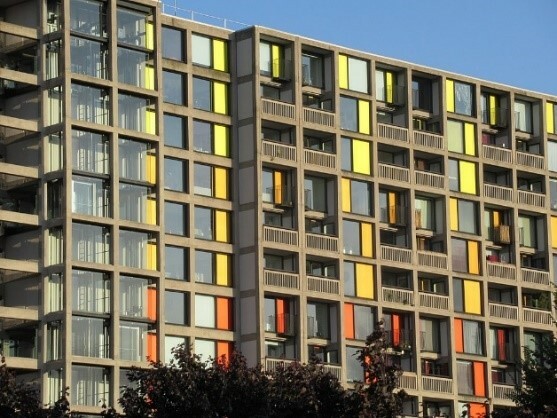 And in 2013, Park Hill was shortlisted for the Royal Institute of British Architects’ Stirling Prize – one of the most prestigious building design awards in the UK. This striking house, which was also shortlisted for the Stirling Prize (in 2016), won a BBC vote for the viewers’ favourite new British building that year. It is a private home built into the side of a hill and has some spectacular views over the Wye Valley and the Severn Estuary. Exposed concrete is one of the key elements of the design. It is used externally and internally on the walls, floors and ceilings, while admixtures containing a black pigment have been used on some of the internal concrete courtyard walls to help mark them out. Concrete supplier Madmix can deliver many different admixtures to building projects in the Cambridge area, including St Ives, Huntingdon and Newmarket. These include waterproof concrete, which contains a special additive so it can be exposed to moisture over a prolonged period and not suffer any long-lasting damage. Our reinforced concrete contains polypropylene fibres, which means it is durable, and resistant to problems such as cracking, abrasions and shattering. We also supply a range of other types of concrete, including admixtures specifically designed for foundations, flooring and driveways. Whatever project you are working on, we can find a mixture which suits your needs. 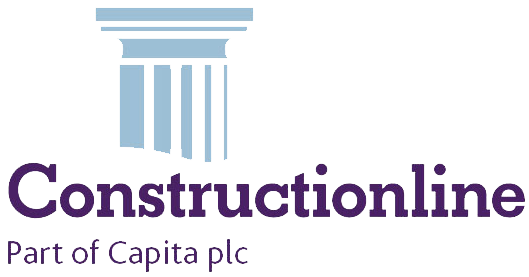 Our concrete is accredited, which means you can be sure it is of a consistently high quality. If you would like to know more about our services and products, contact us on 01954 212212 or by following this link.